Yusuf Samet Yaraş received his Bachelor of Science degree from Sabanci University in Electronics Engineering. 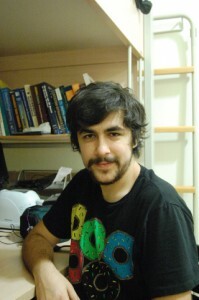 In July 2013, as a MSc student, he joined the Optical Microsystems Laboratory. Currently, he is working as a research assistant under the supervision of Prof. Hakan Ürey at the OML and as a teaching assistant at Koç University.